Noam Murro. Craig Robinson. Gerry Graf. What do all 3 have in common? Perhaps nothing at all before this shoot. Hay Day is another hugely popular and successful mobile game from Supercell. But how do you celebrate the the zany things that happen in this game like pigs giving you bacon off their back, cats getting run over by trucks unharmed, and so on? 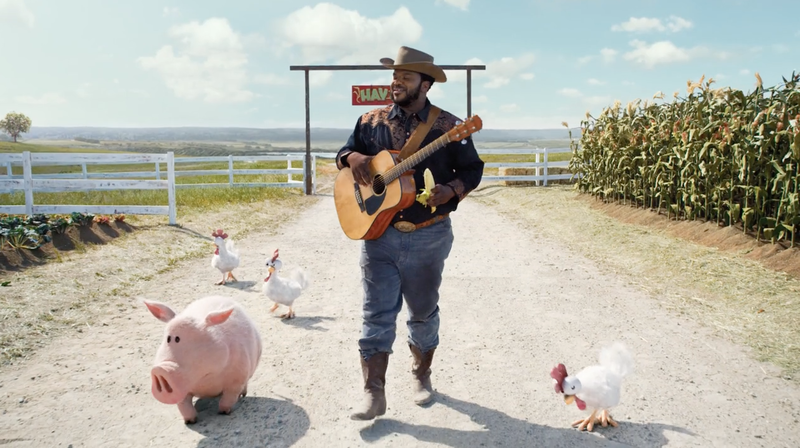 Well, you get one of TV’s best comedy actors, give him a guitar, put him in a retro cowboy outfit and have him walk through a farm singing his own version of “The Weight” by The Band surrounded by the iconic animals and characters in the game. Then you create some :15’s to showcase those crazy Hay Day animals. Overall, a great collaboration between Barton, Biscuit, Legacy Effects and The Mill.